Combination of H@ and OIII taken under totally different skies. Due to the 2x2 binning I had forgotten to take a darkframe in 2x2 , so in the OIII image no darks applied. Also the Biasmaster couldn,t be used due to the same issue. 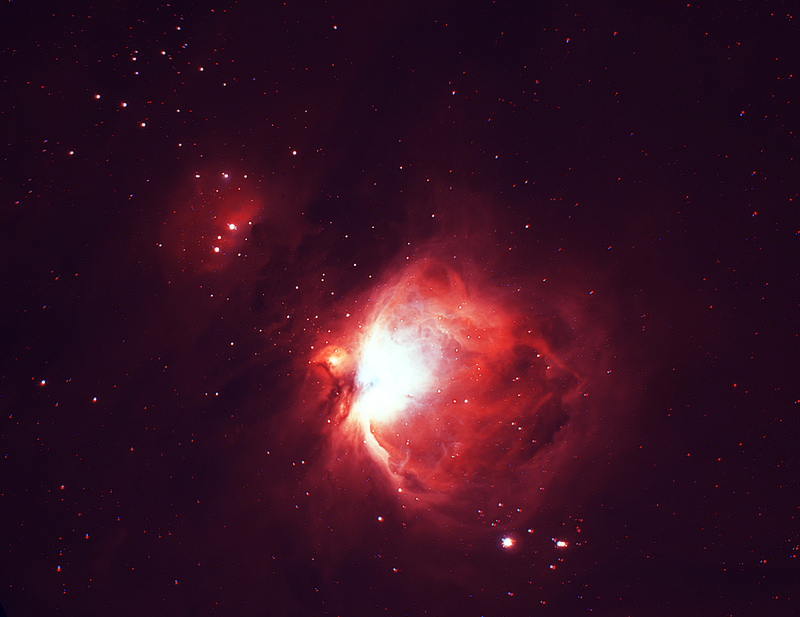 I also forgot to allign the camera's rotation on the H@ image , So this image is more a crop of M42. The blue and red artefacts are probably caused by the problems mentioned above.